It is not every year that the NBA Draft gets to produce an outstanding five-star talent, talk more of a big man like Mohamed Bamba who has a record wingspan of 7 feet 10 inches (2.39 m) and is also reportedly faster than most of all the other players he would be coming across in the NBA, including the freakishly athletic Russell Westbrook. That should be able to describe the kind of pressure the sixth overall pick in the 2018 NBA Draft is facing. However, many NBA enthusiasts, most especially the Orlando Magic who selected him, are willing to bet millions of dollars on him to thrive amongst the very best players in the world. Mo Bamba, as he is better known, was born Mohamed Karlakwan Damala Bamba to Ivorian immigrant parents; Lancine and Aminata Bamba, on the 12th of May, 1998, in Harlem, New York. While growing up, Bamba was inspired to play basketball due to its huge popularity in his neighboorhood. It further helped that he was blessed with the physical features that were required to be even better at it. Mohamed Bamba first attended public school in New York before transferring to the all-boys boarding school, Cardigan Mountain School in Canaan, New Hampshire for his eighth and ninth grade. Bamba went on to attend high school at Westtown School in Westtown, Pennsylvania where his performances caught the attention of many highly rated college programs, including Kentucky, Duke, Michigan, and Texas. Bamba also earned an invite to play in the 2017 McDonald’s All American Game and the Nike Hoop Summit before committing to play for the Longhorns of Texas. Right from the get-go as a part of the Longhorns team, Mohamed Bamba put up amazing numbers that put NBA teams on high alert. In his first college game, he recorded 15 points and 8 rebounds in a blowout win against Northwestern State. In his second game, he recorded a double-double of 13 points, 10 rebounds, and 5 blocks against Lipscomb. He went on to record a college career-high of 25 points in one game, and a career high of 18 rebounds in another as his team steamrolled all the opponents they came across. Bamba’s efforts earned him a place on the Big 12’s All-Newcomer Team, as well as the All-Big 12 Second Team and All-Defensive Team after which he revealed he was forgoing his remaining college years to enter the 2018 NBA Draft where he was selected by the Orlando Magic with the sixth overall pick. After putting pen to paper on a two-year $10.56 million rookie scale contract with the Orlando Magic, Mohamed Bamba now earns an average annual salary of $5.2 million. That figure will certainly be climbing in the coming years as long as Bamba is able to continue to show progression in his game. 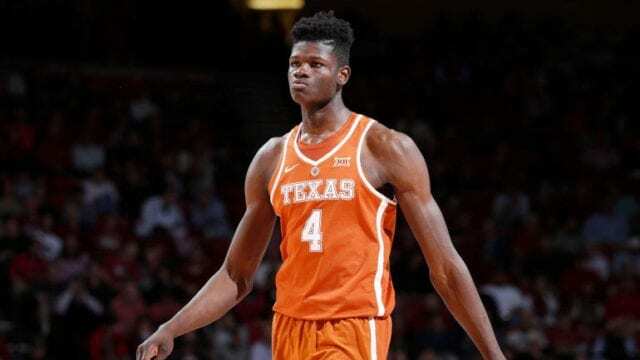 As stated above, Mohamed Bamba was born to Lancine and Aminata Bamba, who are both Ivorian immigrants. But despite having come from the same country, his parents first met each other in the United States in 1997 before going on to welcome their son, Mo, in the following year. Presently, Lancine and Aminata are reported to no longer live together with his father deciding to move back to Cote d’Ivoire while his mother still lives in Harlem. Regardless of the living situation, his parents are still married and have always come out united whenever there is anything that concerns the well being of their son. To make ends meet, Bamba’s father worked as a car-service driver. His son has described him as a very honest and hardworking person who has a strict adherence to wearing a suit. Despite them coming from a low-income household, Bamba’s parents made sure they worked very hard in order to send their son to private school when he needed to get away from the horrors that killed the basketball playing dreams of his older half-brothers; Sidiki and Ibrahim Johnson. Sidiki and Ibrahim were born to Bamba’s mother and her first husband. Just like him, his two big brothers were very good basketball players while growing up. Sidiki was recruited to Arizona but only lasted three games there before he was kicked out of the team for violating rules. He then transferred to Providence and later Wabash Valley before his career fizzled out and led to a life of crime. In June 2015, Sidiki was sent to jail on robbery and attempted robbery charges. Ibrahim on the other hand also played for a number of colleges, including Farmingdale State and Montevallo before he got involved in crime and was jailed for forgery. Ibrahim and Mohamed have since become estranged after Ibrahim’s allegations that his brother was receiving illegal, financial benefits from a Michigan-based investor led to an NCAA investigation and almost jeopardized his college eligibility. Mohamed Bamba, who has a height of 7 feet 0 inches or 2.13 m, definitely does not look out of place in the NBA. In the coming years, however, the former Texas Longhorn will need to add on some weight to give him much more presence in the paint. He currently weighs 225 pounds or 102 kg.